We marched for a future that works! On 20 October around 150,000 people gathered in central London to march for a future that works. Local trade unions booked a special train and around 650 people travelled free to London to join the march. 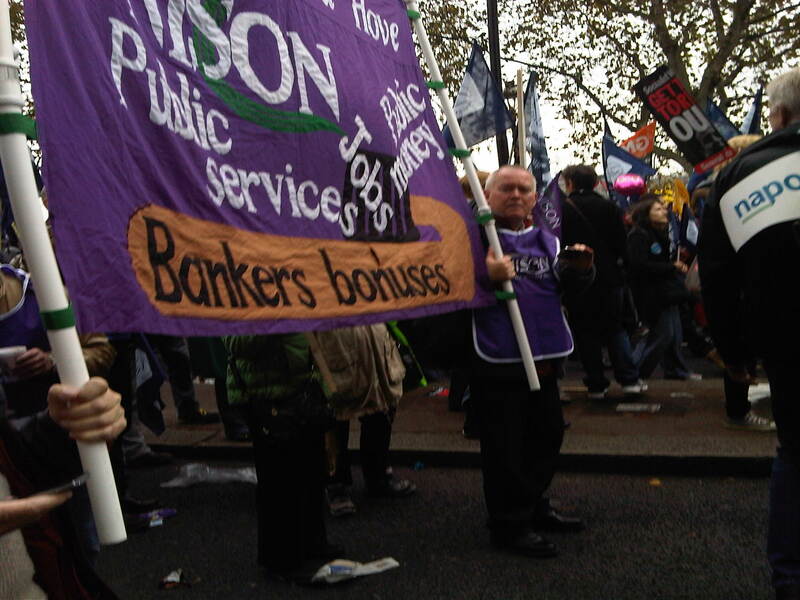 Many of those people were Unison members, fighting to protect public services from the ConDem government’s cuts. We took to the streets because we believe that government spending cuts and privatisation are not the way to get us out of recession. Instead, these cuts are standing in the way of delivering the jobs and growth that we need. UNISON members believe cutting vital public services hurts the most vulnerable members of our society. People who can least afford to pay the price of the recession caused by the bankers. We also know that austerity isn’t working – and most forecasts suggest that we face years of stagnation. The coalition government has got it wrong and they need to replace austerity with policies to create a future that works. We care about healthcare, education, local services and policing. That’s why we marched in London on 20 October.